Many thanks to Barbee Construction for free labor and materials to complete the preparation ground work and for a great price on the curbing! 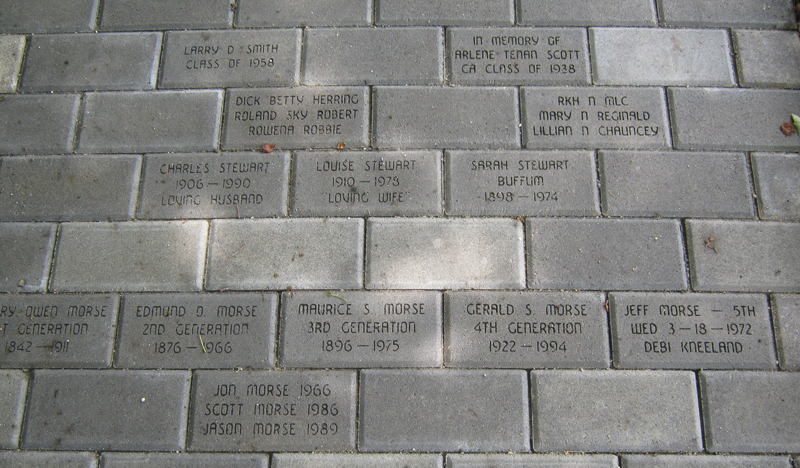 The “Sidewalk of Memories and History” project began in the fall of 2012. CACC introduced this project through displays/posters and letters to Cherryfield alumni and newspapers. Barbee Construction prepared the groundwork and installed the curb with no labor costs. Wieninger Monumental Works engraved and set the pavers. The work was completed in the spring of 2013. The trustees appreciate and thank the following community members for making this project possible: Barbee Construction, Wieninger Monumental Works, Eli Brown, Danny Merritt, Marco Molina and Sean Santerre. There have been five installments to date of 163 engraved pavers. We are currently taking orders for the sixth installment this summer. A paver is $50. 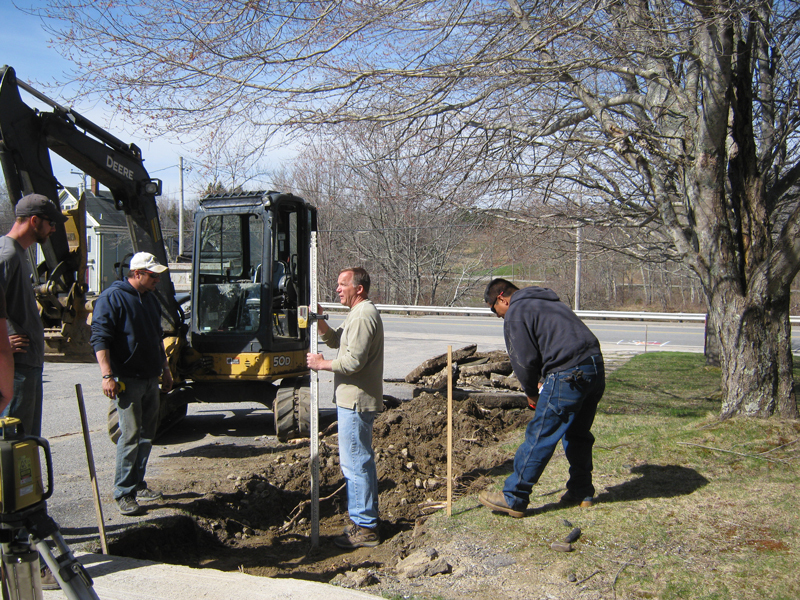 The Community Center nets $28 for renovations, upkeep and operating expenses. Click here to purchase a paver. 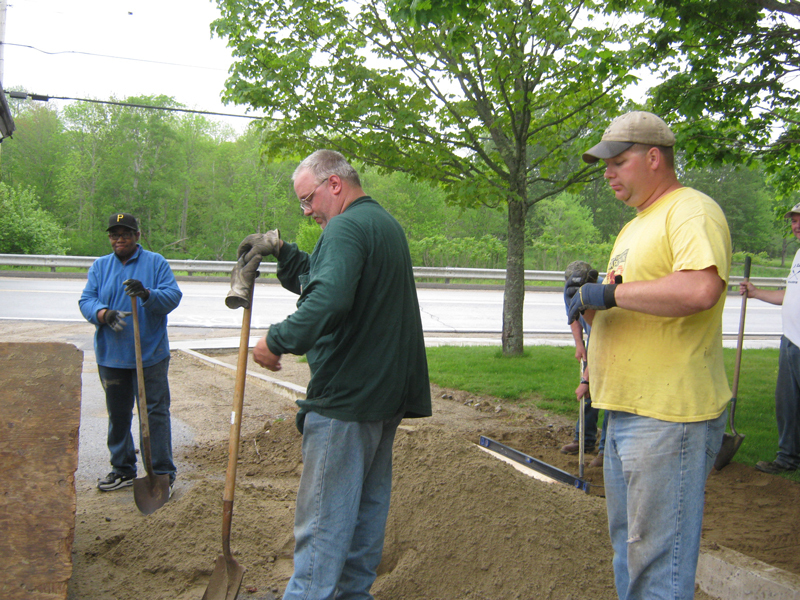 Thank you to Eli Brown, Daniel Merritt and Marco Molina for delivering inch minus gravel – donated by Sean Santerre. 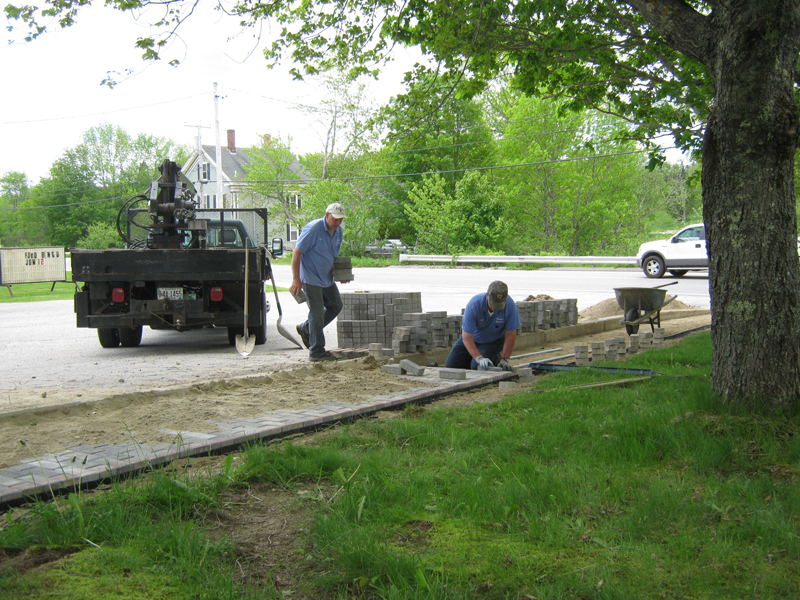 Wieninger Monumental Works tempered the ground and placed all the pavers into the sidewalk.